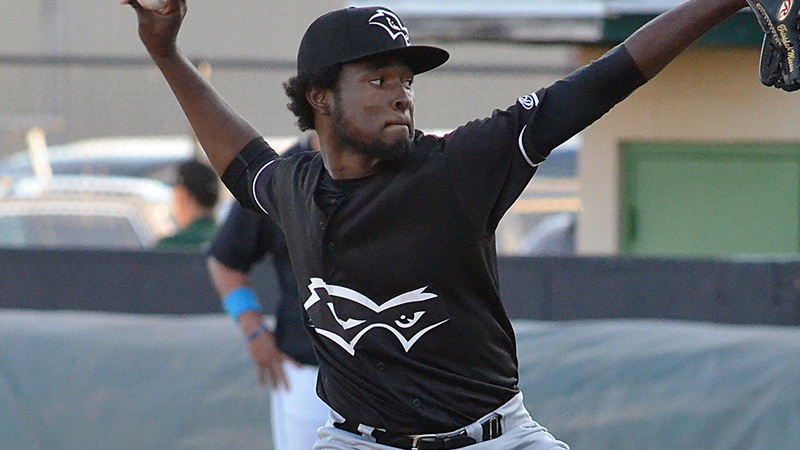 As a pitcher with Class A Quad Cities this season, Cristian Javier has had to piggyback with his fellow River Bandits. But because of his recent performances, he's earned a recognition all his own. The Astros' No. 18 prospect has been named Midwest League Pitcher of the Week for May 21-27 after striking out 18, walking one and scattering four hits in 10 scoreless innings over two appearances. This is the second time Javier has been named a Pitcher of the Week during his career. He won the Appalachian League award while with Rookie-level Greeneville in August 2016. This isn't just a recent phenomenon for the Dominican Republic native. He's fanned 65 batters over just 39 innings this season and 40.9 percent of the batters he's faced, the third-highest rate among Minor Leaguers with at least 30 frames in 2018. His 19.6 percent swing-and-miss rate is the best in that same group. "We get a lot of feedback, even from our own hitters during Spring Training, that guys don't pick up the ball well off him," said Quad Cities manager Mickey Storey. "He doesn't appear to be deceptive, but guys still have trouble with him. We use the word 'hop' when we talk about fastballs, and he really has it when he can ride it in there with some real life. He's good a wipeout slider too, and really, it's just been a good mix of everything so far." The 6-foot-1 right-hander, who owns a 1.85 ERA this season, has dealt with control issues in the past, most notably last season when he walked 27 over 60 innings across three levels. Javier started this season by walking 11 batters over 11 innings in his first three starts with the River Bandits, but since then, he's issued just eight free passes over his last 28 frames, and last Saturday's gem was his first walkless outing since Aug. 8, 2016. Storey chalked up part of the improvement to the warming of the weather. Indeed, Javier's first two outings featured gametime temperatures of 37 and 47 degrees at Quad Cities' home of Modern Woodmen Park. But he added that there have been more tangible changes in Javier's development from when he first showed up to camp in Florida. "It's been the overall command that I've seen grow the most," said the skipper. "He's got the same makeup all the time, along with a quiet confidence. But he gets a ton of swings and misses because of his improved ability to work in the zone. Then, he can work out of the zone when he's ahead in the count. A big thing, too, has been elevating the fastball. That's something they like to develop early in this organization. The really good big leaguers can pitch up in the zone, and if we can get them to do that early like he's doing now, they can be in good shape." The next test for Javier will be how deep into the 2018 season he can take this run of dominance. His career high for innings in a season is only 60, and he's already 65 percent of the way there. Piggybacking has allowed the Astros to get Javier into the rhythm of appearing every fifth or sixth day while also capping his innings with another scheduled pitcher either ahead or behind him. Storey said starters have been limited to about 85-90 pitches per outing, but that will open up to 100 in a month. Javier, who continues to exhibit the dominance needed to stay in a starting role, will be part of that expanded group. But for now, his manager can't help but be excited by what he's seen out of his early performance, no matter the role. "It's a little different what we do here," Storey said. "At this point, it allows us to develop more starting pitchers. We're not limiting ourselves yet. But it also gives our guys a little taste of the pen, too. Honestly, I've been impressed by the way all our guys have handled it. When I was coming up, you were one or the other, and if you were both, that could lead to some issues. But with him specifically, he's been consistent with both. It's been really impressive to see."